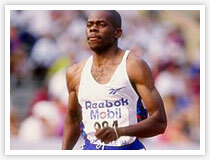 Antonio Pettigrew was part of the 4x400m Olympic (2000) and World (1991) gold winning team, but was forced to return the medal and stripped of his title when he admitted to using performance-enhancing drugs. The retired former 400m champion who was an assistant track coach at the University of North Carolina was found dead in his car on August 10th. The local sheriff found him dead in the backseat of his locked car in the early morning near his home; the following day after his wife reported him missing. Pettigrew was never really found tested positive of using drugs, but however admitted to using it after being subpoena in a trial. He used human growth hormone, and EPO, a hormone that induces red blood cell production, sometimes used for doping, during the period of the Sydney Olympic edition of 2000. The reasons of his death are yet unknown.